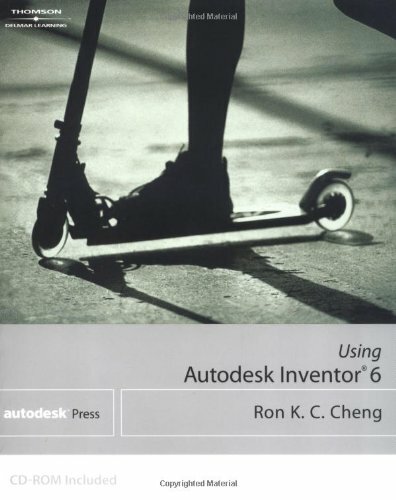 Using Autodesk Inventor? 6 to design and construct 3D models has never been easier! This all-inclusive, how-to manual demystifies computer-modeling concepts, and features scores of examples that relate directly to real-world product design. Modeling methods are outlined in sections, making it easy to gain new skills by working through the book from start to finish. Experienced users may choose to flip directly to topics of interest including: modeling sheet metal components, concurrent use of part modeling and assembly modeling, and more! Presentation instructions are also included, allowing users to visualize how a product or system works. Ron K. C. Cheng teaches a variety of CAD and other software courses at the Industrial Center of Hong Kong Polytechnic University. He helped establish a training program for CAD technologies and design engineers in the Hong Kong industrial community. He is a well established and successful author, having written both Using Autodesk Inventor R3 & now R6, as well as having revised our MDT book origanally done by Dan Banach, Maximizing Mechanical Desktop R6.